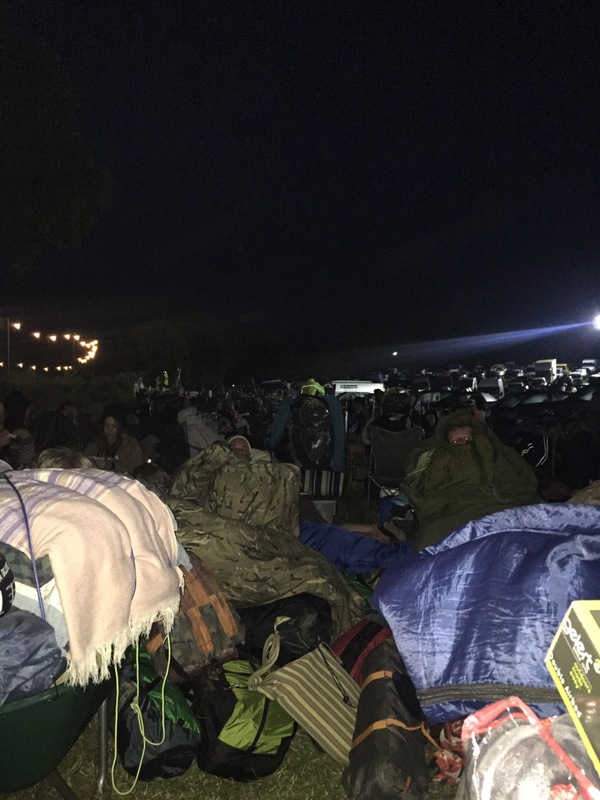 It’s 3.27am, I’m in the Glastonbury queue and feeling very tired! We just got shifted forward a field which is apparently to relieve the traffic build up on the roads. We will be here for three hours or so now, or so we’ve been told. The queue is pretty buzzing (I’m not sure how people keep going!) but I’m pretty sleepy, although that won’t last long as the only drink I can access is Red Bull. As bad as I’m probably making it sound, come 10am tomorrow when I’m hopefully inside, I’ll be pleased to have done the Tuesday night queue again. It makes Wednesday much less effort. Anyway if you are off to Glastonbury have an amazing time! I hope you enjoy it as much as I will. If you aren’t off to Glastonbury then you’ll probably be pretty pleased that I’m not going to be blogging for a few days! I promise that I will start blogging about other things again soon!